Aaron Alexis’ family is “distraught” to learn that he carried the massacre, relatives said today. A family member said that the mother and sister of the Washington Navy Yard shooter were also “shocked” that he could have done this. While some neighbors and acquaintances described Aaron Alexis as “nice”, his father once told detectives in Seattle that his son had anger management problems related to post-traumatic stress brought on by the terrorist attacks of September 11, 2001. He also complained about the Navy and being a victim of discrimination during his time as a Navy reservist from 2007 to 2011. At the time of the shootings, Aaron Alexis worked for The Experts, a subcontractor on a Hewlett Packard contract to refresh equipment used on the Navy Marine Corps Intranet network. After leaving the reserves, Aaron Alexis worked as a waiter and delivery driver at the Happy Bowl Thai restaurant in White Settlement, a suburb of Fort Worth, according to Afton Bradley, a former co-worker. The two overlapped for about eight months before Aaron Alexis left in May, Bradley said. 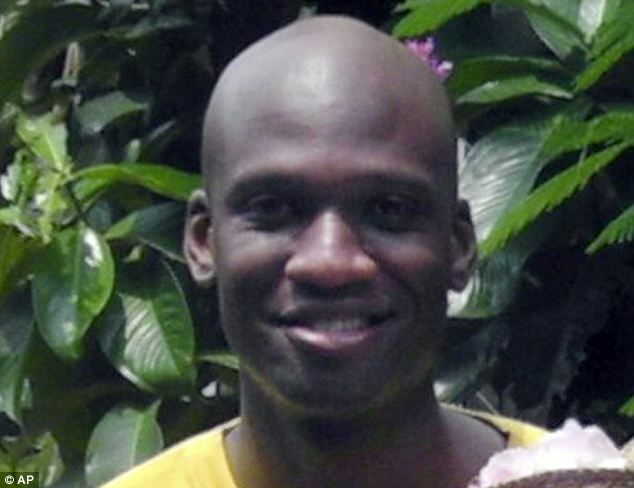 Having traveled to Thailand, Aaron Alexis learned some Thai and could speak to Thai customers in their native language. A former acquaintance, Oui Suthametewakul, said Aaron Alexis lived with him and his wife from August 2012 to May 2013 in Fort Worth, but that they had to part ways because he wasn’t paying his bills. Aaron Alexis was a “nice guy”, Oui Suthametewakul said, though he sometimes carried a gun and would frequently complain about being the victim of discrimination. Oui Suthametewakul said Alexis had converted to Buddhism and prayed at a local Buddhist temple. The shooter’s family lives in a run-down area of Brooklyn called Bedford-Stuyvesant, which was known in the 1980s for being at the center of New York’s crack epidemic. His mother Cathleen, 60, lives in a fourth floor walk up apartment worth $130,000 with other relatives. The street was then sealed off by police and FBI agents who stood guard outside and refused to let anybody onto the side of the street where the house is. Anthony Little said it had been several years since had Aaron Alexis spoken with his family in Brooklyn. Monday at around 5 p.m. two FBI agents arrived and questioned neighbors and workmen who were inside the apartment doing renovations but left after 15 minutes and refused to answer questions. Aaron Alexis, a 34-year-old civilian contractor from Fort Worth, Texas, was confirmed dead on Monday after the mass shooting which also left at least 15 people injured in the nation’s capital. Friends of the gunman today described Aaron Alexis, who worked as a waiter at a Thai restaurant, as “friendly and polite”. He shot dead 12 people at the Navy Yard in Washington DC today, but was described by friends as a fan of meditation and Buddhism “who didn’t seem aggressive”. Two different portraits of Aaron Alexis have emerged, as his criminal record runs in contrast to the reports of friends and family. He was arrested for gun-related incidents in 2004 and 2010, while he was also kept in jail in Georgia for two nights in 2008 for disorderly conduct. He was a Petty Officer Third Class in the Navy prior to his dismissal. Aaron Alexis was awarded the Global War on Terrorism Service Medal and the National Defense Service Medal prior to his discharge. He was stationed at the Naval Air Station Joint Reserve Base in Fort Worth. His LinkedIn profile reveals that he attended Embry-Riddle Aeronautical University and worked as a network technician at SinglePoint Technologies. Aaron Alexis received a general discharge from the Navy Reserve in 2011 after a series of misconduct issues, a Navy official said.